The Edo period (also known as the Tokugawa period) refers to a period in Japanese history where Japan was governed by the Edo shogunate government. This period started at the time when Ieyasu TOKUGAWA was appointed shogun (a barbarian-quelling generalissimo) and settled the government in Edo (present Tokyo) on March 24, 1603, and lasted till the return of political power to the Emperor (taisei hokan) on November 15, 1867 for 264 years. 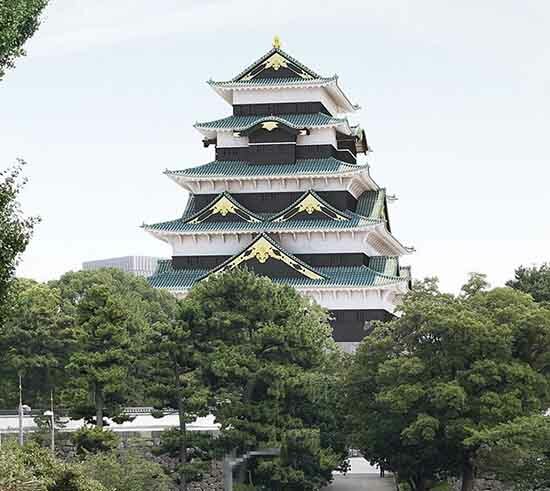 Another view holds that starting point of this period is when Ieyasu TOKUGAWA won the Battle of Sekigahara, and its ending is when Edo-jo Castle, the base of the Edo shogunate government, was surrendered to the imperial army, however. 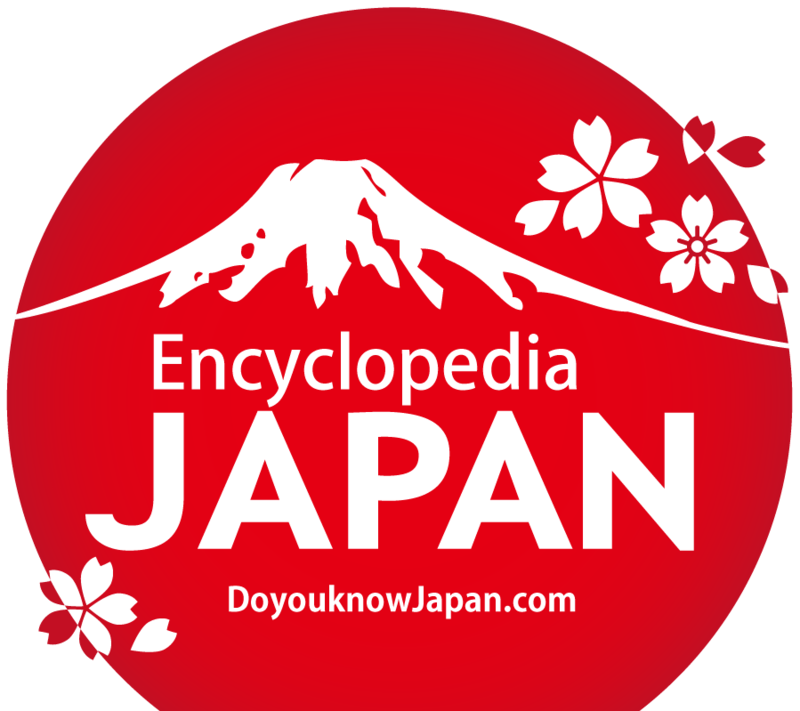 There are other names for this period such as the Tokugawa period and the feudal government period. However, the latter was only used as historical classification in the local history of territories of specific domains in this period. The Tokugawa shogunate (Edo shogunate) came into being when Ieyasu TOKUGAWA settle the government in Edo, his own territory, after taking office as shogun (a barbarian-quelling generalissimo). He resolved the political chaos following the collapse of the Toyotomi government and enforced various political measures to promote the development of industries and education and so on, while eliminated the rival force of Toyotomi clan through the Sieges of Osaka. This ended the long standing unstable political situation. Although being criticized for the &apos;favoritism to relatives,&apos; it resulted in establishing the basis for the long-term stable government which lasted more than 260 years, and in bringing about such a relatively peaceful state in Japan as a set phrase, &apos;Tenkataihei&apos; (the peaceful and tranquil world), coined. Even though Ieyasu was believed to be an agricultural fundamentalist, it is pointed that Ieyasu was, in effect, likely to pursue the growth-oriented economic promotion because he actually lived in the same period as Nobunaga ODA and Hideyoshi TOYOTOMI, and witnessed Nobunaga&apos;s economic promotion policy by thorough deregulation. Since a large number of soldiers (samurai) shifted their activities from counterproductive military activities to administrative activities due to the rise of peaceful state and new rice fields were cultivated in various places, the economic development which had sustained for a long time from the Warring States period to the Azuchi Momoyama period accerelated explosively, and a high-growth era started. In the Edo period, as a foreign policy, the shogunate government adopted the national seclusion policy which banned interactions with foreign countries other than those with China and the Netherlands in Dejima island in Nagasaki and Yi Dynasty of Korea through the Tsushima Domain, (although actually Ryukyu under the control of the Satsuma Domain commerced with Ming and Qing, and the Matsumae clan in Oshima Peninsula traded with the Ainu). Although Hideyoshi TOYOTOMI promulgated the edict expelling the European missionaries before, the Shimabara Uprising is said to be the direct trigger for the national isolation policy for the reason that the combination of Christianity and the riot (the intermediate nature between an uprising of powerful local samurai in the medieval period and a peasant&apos;s revolt during the early-modern period) turned out to be so difficult to suppress that Christianity was strongly recognized as danderous. In addition, during the riot, in order to monopolize trade with Japan, the Netherlands advised the shogunate government that it would be dangerous for Japan to trade with Catholic countries such as Spain because they intended to colonize Japan. A similar policy was called the Sea Traffic Ban Policy in China, but in this case, the policy was aimed to protect the coastal areas from pirates including Japanese pirates and to forbid illegal overseas trading, so that the situation in China was different with the national isolation of Japan to some extent. However, there is an opinion that the term &apos;Sea Trafic Ban&apos; was more appropriate than the term &apos;national seclusion&apos; on the premise that both was the same. Before the seclusion policy was implemented, the Japanese had expanded remarkably overseas, with many Japanese towns found in Southeast Asia. Like Nagamasa YAMADA traveling to Thailand, there were some examples where Japanese people were given an important position in a foreign country. After closing the country, however, the national policy focused exclusively on domestic affairs, and a domestically self-supported economy was formed. In this way, a complex economic system was formed, in which the nationalwide economy with three pivotal cities, Kyoto, Osaka and Edo, and the regional economy of each domain interacted with each other especially in Osaka, where local specialties all parts of the country were concentrated to distribute to all over Japan. 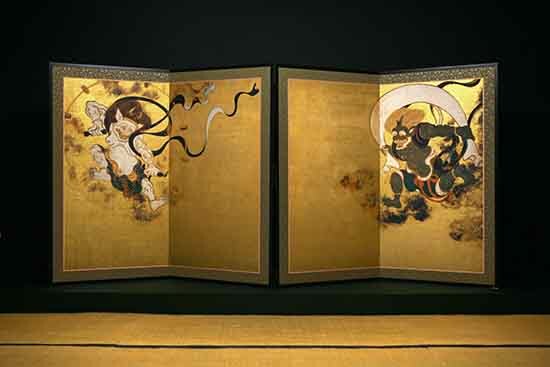 The Genroku era enjoyed economic prosperity based on the development of agricultural productivity, and in the field of literature and painting famous masterpieces such as Ukiyozoshi (Literally, Books of the Floating World) by Saikaku IHARA, seven-syllable verse (haikai) by Basho MATSUO, Joruri (dramatic narrative chanted to a samisen accompaniment) by Monzaemon CHIKAMATSU and ukiyoe paintings by Moronobu HISHIKAWA were created. Thanks to the rapid growth of the economy in the Genroku era, the monetary economy spread to agricultural communities too, and the commercial crops such as mulberry, lacquer, hinoki cypress, paper mulberry, safflower, indigo, hemp and cotton began to be cultivated more and more. In the field of fishery, the advanced fishing method which had developed along the shore of the Inland Sea and Kumano spread across Japan, and the cultivation of salt fields in which brine is brought through tidal action along the coast of the Inland Sea improved the mass production of salt, which developed the nationalwide distribution system of salt. 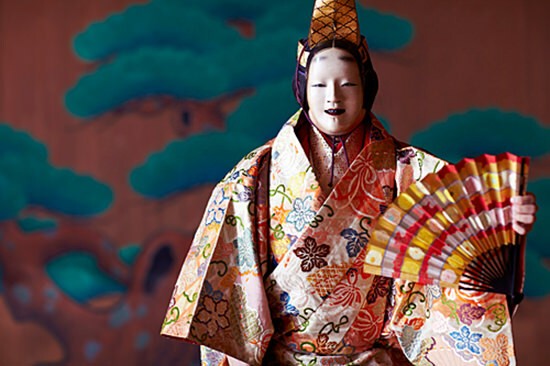 In the handicraft industry, production of cotton fabrics was developed, while luxury Nishijin brocades were made in the traditional textile manufacture of silk products. In addition, sake brewing industries in five villages of Nada and Itami City were developed as well as ceramic industries in Arita Town and Seto City. Before long, in the 18 century domestic industries by wholesale and subcontract systems began to appear in rural area all over the country. Under circumstances where the flow of people and goods became active, cities of various characteristics such as castle towns, port towns, post-station towns, temple towns, shrine towns, mining towns and so on were born in various places. From this viewpoint, the Edo period of Japan is sometimes considered to be the &apos;age of cities. 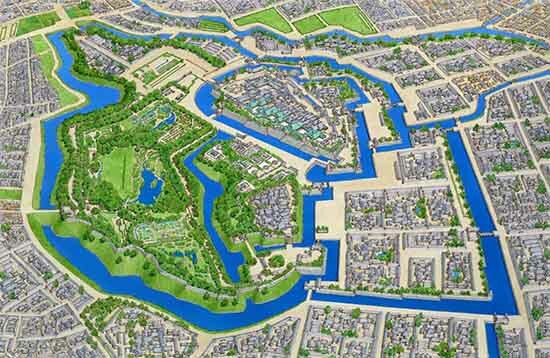 &apos;Early in the 18th century, the cities of Kyoto and Osaka both had populations close to 400 thousand each. At the same time, Edo, whose population reached around one million, was not only the biggest consumer city in Japan, but also the biggest city in the world. It is said that during the 18th century, the Tokai-do Road connecting Edo and Osaka was the busiest in the world. Such economic development was resulted from production of gold, silver and copper in large amount due to mine development such as Innai Silver Mine, and a lot of foreign goods were imported to Japan in exchange for gold and so on. New Regulations on Ships and Trade (a trade restriction policy)In response to this situation, Hakuseki ARAI enacted New Regulations on Ships and Trade to restrict foreign trades (Nagasaki New Regulations). He concluded that from the opening of the shogunate government in Edo to the Genroku era, a quarter of domestic gold currency and three quarters of domestic silver currency were lost due to the settlement of foreign trades in Nagasaki, and issued this regulation using the proposal of the Nagasaki magistrate Kiyosuke OOKA. The main points were import restrictions and promotion of domestic production, while limiting the number of foreign ships coming to Nagasaki and the amount of trade. By limiting the annual number of ships from Qing to 30 and the value of trade to 6,000 kan (a unit) of silver, while from the Netherlands the anual number of ships, 2 and the value of trade to 3,000, these regulations encouraged domestic production of hitherto imported goods, such as cotton cloth, raw silk, sugar, buckskin, silk fabric and so on. 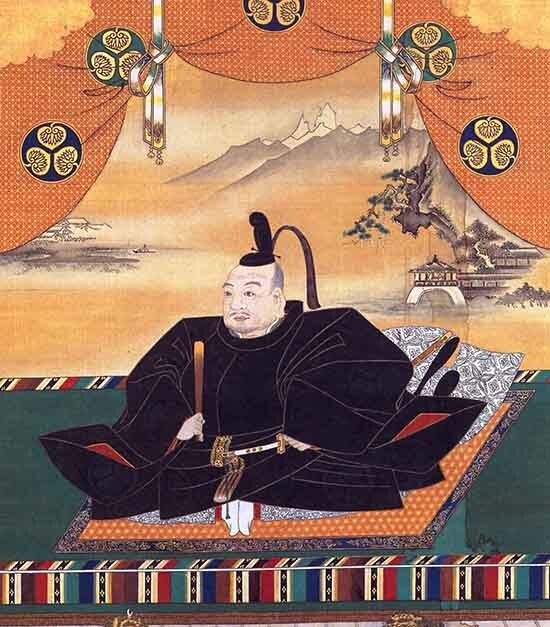 Yoshimune TOKUGAWA from the Kishu Tokugawa family assumed the position of the eighth shogun, and implemented dynamic political reforms with no regard for the feelings of the hereditary vassal daimyo who had taken the initiative in the shogunate government until then (Kyoho Reforms). He devoted himself the most to stabilizing the price of rice. This is due to the fact that along with the process of the monetary economy, the price of rice, which was used as a standard in pricing various commodities, kept falling (the general price rice in spite of the low price of rice), and it became obvious that shogunate direct retainers (hatamoto) and low-level vassal, whose salary was determined based on rice price, were hard up financially. Therefore, he dampened spending using laws that regulated expenditures, while taking action to increase the production of rice through development of new fields, stabilizing incomes by adopting a fixed tax rate, establishing a system of the specific tax rice paied to shorten the obligatory stay of one year in Edo to six months (agemai), and authorizing the Dojima Rice Exchange. For this reason, he was known as the &apos;Rice Shogun. &apos;In addition to the above, he also carried out reforms that included the salary supplements system (tashidaka) for certain key jobs to appoint promising personnel while reining in government spending, deregulating the prohibition of Western books in Chinese version, encouraged the cultivation of sweet potatoes, and established a complaints box as well as other reforms. The government finance got balanced partially, and in 1744 the tax revenues were the highest of the Edo period, but the fixation of rice tax rate and the forced frugality of everyday life negatively affected peasants and citizens, resulting in frequent peasant revolts and destructive urban riots, which were also results of the Great Famine of Kyoho. 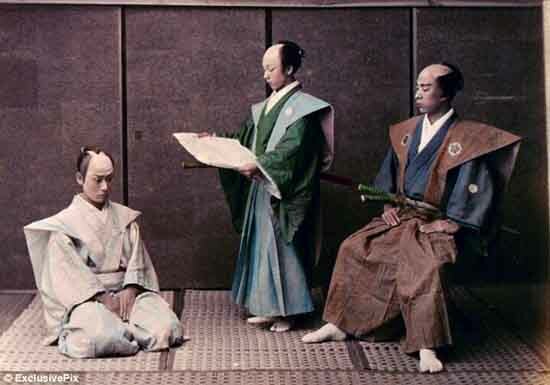 As noted above, while the economy was founded on land capital, samurai soldiers as the ruling class have no land ownership, and this peculiar situation made it almost impossible to secure a steady livelihood of samurai in harmony with the national stable growth polity, so that the tight monetary policy lying hard on the economy resulted in chronic recession. In addition, around 1726 a political reform theory, &apos;Discourse on Government&apos; (Seidan) was submitted to Yoshimune by Sorai OGYU, who criticized the doctrines of Zhu Xi, saying that &apos;the doctrines of Zhu Xi was only a delusional theory based on speculations,&apos; and this book not only demonstrated Sorai&apos;s political philosophy concretely but stood out as an epoch-making work in Japanese history of thought which promote the separation of politics from religious morals. After this, the theory of enlightened rule and succor of the people came to be taken seriously. On the other hand, a wealthy merchant in Osaka established Kaitokudo school, where Confucianism, mainly the doctrines of Zhu Xi, was taught, and later this school was officially licensed by the shogunate government as gakumonjo (a school) and existed until 1886. In 1730, Baigan ISHIDA advocated Sekimon-shingaku (popularized blend of Buddhist, Shinto and Confucian ethical teachings) which was a moral philosophy peculiar to Japan. As stated above, the Kyoho era was also an era when new developments were achieved in the fields of study and thought. Land income tax increased due to an additional tax collection policy in the Kyoho Reforms, but hit a ceiling in the Horeki era (1751 - 1763), after which, the financial affairs of bakufu started to hit an impasse yet again. It is Okitsugu TANUMA who devised a strategy for breaking out of this situation by levying business taxes on production and distribution of commodities as a new source of revenue and furthermore carrying out the large-scale development of a new fields and development of the Ezo (present Hokkaido). Tanuma reformed a conventional structure depending on agriculture, and put a Mercantilism policy into action. In order to control the processes of production and distribution of commodities and lower prices, he authorized guilds of handicraftsmen as a trade guild (kabunakama) and encouraged its organization, while imposing business taxes called unjo, myoga on them. He also established monopolistic trade association (za) such as the copper guild, the the ginseng guild, and the brass guild. He proceeded land reclamation of Inbanuma Pond and Teganuma Pond by investing merchant capital, and encouraged foreign trade in Nagasaki, but at the same time promoted product development such as roasted sea cucumbers and dried abalones (tawaramono) for the purpose of reducing the export of gold and silver from Japan. He encouraged Western studies, and following the suggestion of Heisuke KUDO, dispatched Tokunai MOGAMI to Ezo to investigate the potential for development of new rice fields or mines and trade with the Russian Empire through the intermediation of the Ainu. Although these were realistic and rational policies including very advanced contents in those days, the criticism for prevalence of bribery and the frequent peasant revolts and destructive urban riots as well as the Tenmei Famine brought his downfall. The 18th century was also the onset of a little ice age causing temperatures in the northern hemisphere to drop, which worsened the famine. Sadanobu MATSUDAIRA who criticized Tanuma&apos;s politics subsequently appeared in 1787, and promoted the Kansei Reforms. In order to subside inflation beginning in the Tanuma government, Sadanobu implemented the policy of simple and frugal life, controled public morals, and administered on an ultra-austerity budget. He adopted the commerce suppression policy, the dissolution of trade guilds (kabunakama) and the compulsory reservation of rice in a domain (kakoimai), and enforced a law to make peasants coming to Edo return their agricultural communities with financial support. It had a strong conservative and idealistic orientation, such as debt cancellation orders to give relief to direct vassals of the shogunate (hatamoto) and low-level retainers. He took strong foreign policies, for example, the punishment of Shihei HAYASHI for his opinion about measures toward Ezo by banning his book, and the flat refusal to Adam Laksman who requested commerce with Russia while brought back a castaway, Kodayu DAIKOKUYA. Although Sadanobu also implemented present social welfare policies such as the accumulation of relief fund for the poor (seventy-percent reserve fund) and the establishment of independence support facilities for minor offenders and the homeless (ninsokuyoseba), the support of the people was lost due to the strict control over thought, art and literature, in short townspeople and peasants as a whole, and the excessive protection of his retainers on the other hand. In addition, the abandonment of mercantile policy again deteriorated the economy which had been recovered during the Tanuma period. From one point of view, the ultra long-term stable government, especially for the first hundred and dozens of years, enjoyed economic growth, which brought about development of the merchant class, who played active roles in flourishing fields such as studies, culture, art, and business, and accomplished traditions unswerving even today. The Edo period enjoyed a &apos;peaceful world,&apos; although there was structural conflict between developing economic activities in a city and the land capital system in the domain economy which held an excessive number of samurai, executive officers of the land capital structure, but early in the 19th century the structual fatigue became apparent rapidly as organizational inflexibility. In addition to the above, western countries modernized rapidly through industrial revolution in the latter half of the 18th century, and for their own political and economic reasons, started debouching into various places around the world to acquire their own colonies for the purpose of seeking resources and markets for their own industries, rather than for the simple purpose of &apos;adventure&apos; during the Age of Geographical Discovery. In spite of the frequent visits of western vessels in the far east area, or the sea of Japan, the shogunate government continued the seclusion policy by strong measures such as the enforcement of the edict to repel foreign vessels in 1825 to prevent contacts with foreign envoys and vessels asking for a diplomatic channel with Japan. After Sadanobu MATSUDAIRA resigned, Ienari TOKUGAWA, the 11th shogun, took the helm of state affairs for about 50 years from the Bunka Bunsei era to the Tenpo era. Since Ienari kept taking the helm even after assigning the shogunate to his son, Ieyoshi TOKUGAWA, this administration was called the government of the retired Shogun (ogosho). At the beginning of Ienari&apos;s government, the policy of simple and frugal life was succeeded, but when the finance of the shogunate government recovered temporarily by minting new currency with low content of gold and silver, which brought profit margin to the government, administration fell into a lax management at an extravagant expense of the harem (ooku). The edict to repel foreign vessels of 1825 stated above was also promulgated in the Ienari period. Meanwhile, economic activities by merchants became active, and a popular culture (Kasei culture) flourished mainly within the cities. Nonetheless, as the disparity between rich and poor expanded in agricultural communities, peasant&apos;s revolts and agrarian conflicts occurred frequently and ended in deterioration of the public order. In 1805, Kanto Dsciplinary Police Agency (Kanto Torishimari Shutsuyaku) was established. Since the Tenpo Famine that ravaged in 1832 spread all over the country, many people became absolutely destitute in both cities and agricultural communities, and many died of hunger. In 1837, Heihachiro OSHIO, a former police sergeant (yoriki) of the magistrate&apos;s office of Osaka, became indignant at the do-nothing government and conducted an armed uprising in Osaka. Many farmers followed Oshio, and the uprising spread repercussions in other regions, which gave a great shock to the shogunate government and domains. After Ienari died, in order to cope with these crises, Senior councillor Tadakuni MIZUNO implemented various policies called the Tenpo Reforms to reconstruct financial affairs for the purpose of strengthening the power of the shogunate government. However, none of these policies worked well, least of all Land Requisition Orders, which was an ambitious policy aimed at both the financial stabilization and the reinforcement of the national defense, but fierce opposition from every social class threw back them and Tadakuni was overthrown in only three years. In response to the defeat of Qing Dynasty in the Opium Wars, Tadakuni shifted his foreign policy to more flexible one by amending the conventional edict to repel foreign vessels to the law to provide water and fuel for foreign ships, while he ordered Hidetatsu EGAWA and Shuhan TAKASHIMA to introduce the western style gunnery and the modern military buildup. The impact of the Opium Wars shook the whole country, and mumerous copies of &apos;Illustrated Treatise on the Marine Kingdoms&apos; by Wei Yuan were published and influened greatly on the political situation during the end of Edo period. Under such circumstances, powerful domains called &apos;Yuhan,&apos; such as Satsuma Domain and Choshu Domain, succeeded in financial reform and began to influence more and more in the political situation during the end of Edo period. In the Tenpo era, a new economic style, manufacture, emerged among landowners and wholesallers, who set up factories with the principle of division of labor or cooperation. Manufacture developed in the cotton fabrics industry around Osaka and Owari Province as well as the silk fabrics industry in the north Kanto region such as Kiryu City, Ashikaga city, Yuki City and so on. In 1853 the shogunate government was forced to change the conventional foreign policy that foreign negotiation should be conducted only in Dejima island in Nagasaki and have talks with Matthew Perry of the United State who landed defiantly at Uraga, in the backyard of Edo, and next year concluded the Japan-U. S. Treaty of Peace and Amity, yielding to the pressure from the Perry squadron in readiness to enter the Edo Bay. Thereafter, the shogunate government was forced to conclude similar treaties with other western countries following in the high-handed manner of the United States, and &apos;the opening Japan to the West&apos; was carried out without intention. The public opinion of foreign exclusionism among low-ranking samurai and intellectuals in particular overwhelmed all over Japan, insisting furiously that the national seclusion had been the fundamental law since the dawn of Japanese history and the opening up of the country was against it. Public opinion itself had never been a concern when the shogunate system was stable, but with this &apos;public opinion&apos; as an emotional prop, the existence of the Emperor in Kyoto came to the fore. For a short time the oppressive policy of the chief minister (tairo) Naosuke II (the Ansei Purge) seemed to quieten down the public&apos;s dissatisfaction. After the Sakuradamongai Incident, however, things changed rapidly while the shogunate government was at a standstill to deal with the shogunate successor problem. In Satsuma Domain after the death of Nariakira SHIMAZU, Hisamitsu SHIMAZU, a father of the feudal lord Tadayoshi SHIMAZU, advocated the union of the Imperial Court and the shogunate and purged the exclusionist party against foreigners (the Teradaya Incident), while requested the shogunate government to carry out reforms (Bunkyu Reforms). Hisamitsu SHIMAZU provoked the Namamugi Incident on the way back to Satsuma from Edo, and realized the rashnesness of exclusionist policy from the defeat of the Anglo-Satsuma War the follwing year. Choshu Domain, where reformists and conservatives were in a power struggle, carried out the exclusionist policy, bombarding a foreign vessel sailing through the Bakan Straits with home-manufactured cannons in May 1863. Leadership struggle in Kyoto developed into conflicts with Satsuma Domain and others, and caused the seven court nobles to escape from Kyoto in August1863 as well as the Ikedaya Incident the next year, which led to armed conflicts with Satsuma Domain, Aizu Domain and Kuwana Domain (the Kinmon Incident). On the pretext of the Kinmon Incident, the shogunate government carried out the First Choshu Expeditions, but at the same the combined fleet of Great Britain, United States, France and the Netherlands made a counterattack and got to land to occupy the gun battery (the Shimonoseki Bombardment). After that, Shinsaku TAKASUGI and Takayoshi KIDO took over the reins of the domain. Under these circumstances, powerful domains in the western Japan such as Satsuma Domain, Choshu Domain, who repeated political strifes, concluded an alliance (the Satsuma-Chochu Alliance) through the intermediation of Ryoma SAKAMOTO and Shintaro NAKAOKA. Thereafter the shogunate government executed the Second Choshu Expeditions, but failed due to successful interruption by the army of non-regular soldiers organized by Shinsaku TAKASUGI, the &apos;Irregular Militia,&apos; and the death from disease of Shogun Iemochi TOKUGAWA, the general supervisor, at the Osaka Castle. When the shogunate government could neither stop feudal lords setting up their residenes in Kyoto against the shogunate order, nor maintain the public order in Kyoto by its own efforts, the reliance on the shogunate government and its authority as well as the trust in the military power of samurai, which was the backbone of the shogunate and domain system, fell rapidly after this defeat. Satsuma and Choshu domains, together with Tosa and Saga domains, advocated the &apos;anti-shogunate movement&apos; based on the &apos;antiforeign imperialism&apos; insisting that the treaties with the Western powers, which were concluded against the imperial order, should not be accepted in the first place and that foreigners should be expelled out of Japan, and placating those who were about to resort to force for the cause of exclusionism, these domains tried to unite exclusionism with the imperialism on the supremacy of the emperor. However, the following occurred in 1867. Yoshinobu TOKUGAWA, the 15th shogun, shogun, returned political power back to the Emperor (Taisei Hokan) as a last-ditch measure to save the political career of the Tokugawa clan. He intended to signale his allegiance to the imperial throne and planed to be on top of the would-be coalition government composed of feudal lords. He took the initiative from the anti-shogunate group in the plan to overthrown the shogunate government in armed struggles, because they lost their cause to justify their use of force for a while. The anti-shogunate party of Satsuma and Choshu domains, however, revived the Great Council of State (dajokan) System, and established a new government headed by the Emperor. The change of regime from the Tokugawa shogunate to the Imperial court was thus declared (the Decree for the Restoration of Imperial Rule). After this, the conflict between the old shogunate forces in command of the Tokugawa clan and the new government led by Satsuma and Choshu domains mainly led to the Battle of Toba-Fushimi, the beginning of the Boshin Civil War. Yoshinobu surrendered Edo-jo Castle after the defeat by the new government. Although some old shogunate forces resisted in the Tohoku region even after the surrender of Yoshinobu, the new government won in the last war, known as the Hakodate War around a pentagonal fortress (goryokaku), and the Boshin Civil War came to an end. This is how the Meiji Restoration started, and how Japan also entered the age of full-scale modernization. 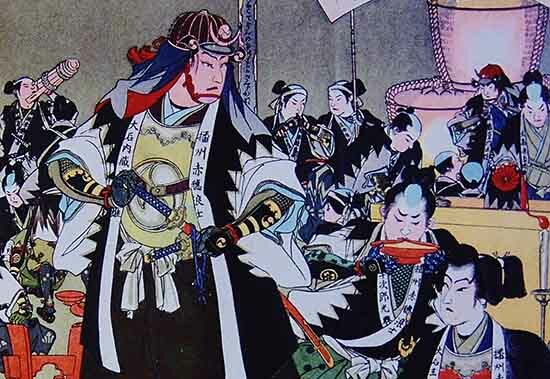 The Edo period was a feudal society where the soldier class (samurai) ruled with the barbarian-quelling generalissimo, or the shogun, the Tokugawa clan as the central figure. 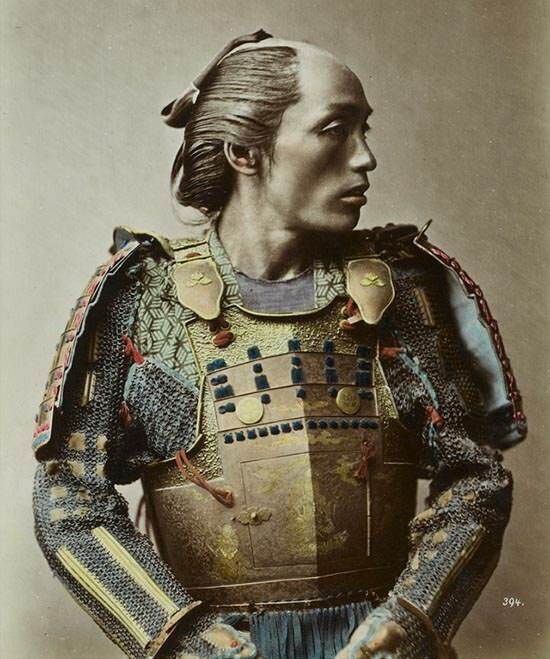 The class system of common people was the hierarchy of soldiers (samurai), farmers, artisans, and merchants, called shinokosho, and the samurai controlled the others. The definition of samurai and farmers were not so clear before the sword hunt decree (the disarmament of farmers) of 1588 by Hideyoshi and the residence zoning for samurai in castle towns, for townspeople in cities, and for farmers in rural villages, and those measures separated the samurai class and the farmer class definitely. 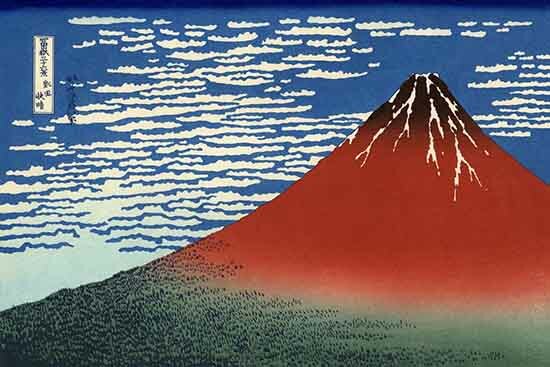 However, a certain degree of flexibility was seen in each hierarchy during the Edo period. Especially, many peasants flew into Edo from rural areas due to famines, and the shogunate government often promulgated the orders to support peasants to return their own communities financially. There were also self-sustaining samurai called country samurai (who didn&apos;t live in the castle town) all around the country. Country samurai were clearly distinguished from the feudal retainers living in a castle town and recieving salary from the lord, and sometimes discriminated as a lower-rank samurai. Many of people who played active roles at the end of the Edo period, whether pro-imperial or pro-shogunate, came from these derogatory class such as lower-rank samurai, country samurai, merchants. The shogunate government regarded Edo, Osaka and Kyoto as important, and established town magistrates (machi bugyo) and local governors (shoshidai), while governed Izu Province, Hita City, Nagasaki City, Niigata Prefecture, Hida Province and primary mines by placing administrative officials (daikan). This shogunate agency grasped control of not merely to the appointed city, but also of the surrounding areas, so the governor of Kyoto (Kyoto Shoshidai) controlled Yamashiro Province, Tanba Province, Omi Province and so on (as well as put the imperial court under its surveillance, and the town magistrate of Osaka (Osaka machi-bugyo) was allowed to manage the shogunate demesne in the western Japan. But, their military strength was almost nil, and early in the 18th century there were only ten soldiers in the Nagasaki magistrate office and at the end of the Edo period only 30 soldiers in the Gojo magistrate&apos;s office. The shogunate government separated political power from econoic power. Hereditary vassal daimyl (fudai daimyo) were allowed to fill a powerful post such as the senior councillor (roju) in spite of their economic strength being an annual stipend of hundred thousand koku in rice at most, while wealthy daimyo, such as outside daimyo (non-hereditary vassal daimyo) and a feudal lord with more than one fief (kunimochi daimyo) were not allowed to participate in the natilnal government. This separation intended to prevent the growth of a powerful clan such as the Hosokawa in the Muromachi period. For example, since the latter half of the 17th century, several personnel had been took office of senior councillor (roju) (on monthly duty) except chief minister (tairo). In principle, the local government was based on a feudal system under which the authorized feudal lord (daimyo) was allowed to administer the assingned territory only for one generation. Ruling system in a fief differed significantly according to the scale of each daimyo, but followed the central ruling organization system of the shogunate government. The same was true with the class system. However, daimyo was not allowed to administer the fief at their own will, and put under the surveillance of inspectors who were sent by the chief inspector in Edo (ometsuke). Through these inspectors, a great number of feudal lords (daimyo) were punished for violation of Laws Governing Military Households, and deprived samurai status with forfeit of the territories or curtailed their fief, but this punishment was imposed without extenuation of the classification of daimyo, that is, family daimyo (shinpan), hereditary vassal daimyo (fudai daimyo), or outside daimyo (tozama). The shogunate government obliged daimyo to live in Edo every other year (Sankinkotai) and compulsory service in construction work, which were determined according to their social status. Such obligations became a big factor in causing the impoverishment of daimyo. In order to cope with this situation, each domain initiated reforms in the 18th and 19th centuries, (and the first case was Tosa Domain around the middle of the 17th century). Initial policies were mainly the order to encourage a frugal life and the issue of local paper currency, but in the middle of the 18th century a monopoly system of local specialties, such as salt and ceramics, was introduced in many domains. Among these reform, &apos;the donation loaning for three mountain shrines in Kumano&apos; implemented by Kishu domain was a unique example, in which system the feudal lord (daimyo) himself became a moneylender and charged interest. At the same time, some domains entrusted merchants to administer its economy, and for example, Sendai domain asked Banto YAMAGATA, the clerk of Masuya Shop in Osaka, to make a comprehensive survey of the financial affairs. Except some domains of feudal lords owning more than one fief, the territory of a domain lay around the castle at the center and the castle town with enclaves a little apart (villages under control of several feudal lords). This tendency was often seen among hereditary vassale daimyo (fudai daimyo) with an annual stipend of around hundred thousand koku in rice. The Yodo Domain near Kyoto had not only neighboring territories in the Kinki region such as Yamashiro, but also in Kazusa Province a long way off. It seems due to the transfer of fief of the Inaba family from Kazusa Province to Yodo. Many examples of this kind were seen unexpectedly. The shogunate government controlled feudal lords (daimyo) by various means, such as the alternate-year residence system in Edo (sankinkotai) and compulsory service in construction work, but in another occasion through the marriage with a daughter of the shogun or adoption of a son of the shogun and loaning. The shogunate government also arranged marriage and adoption between feudal lords. In addition, with some exceptions, by early in the 18th century, each domain had changed the fief system for retainers to provide a land into the salary system. In the beginning of the Edo period, each domain frequently engaged in border conflicts with neighboring domains. A famous conflict was a dispute concerning the Kazuno territory which developed into a fight between the Kubota Domain and the Morioka Domain, and in addition to this, there were other disputes between the Sendai Domain and the Soma Domain, and between the Hagi Domain and the Tokuyama Domain. 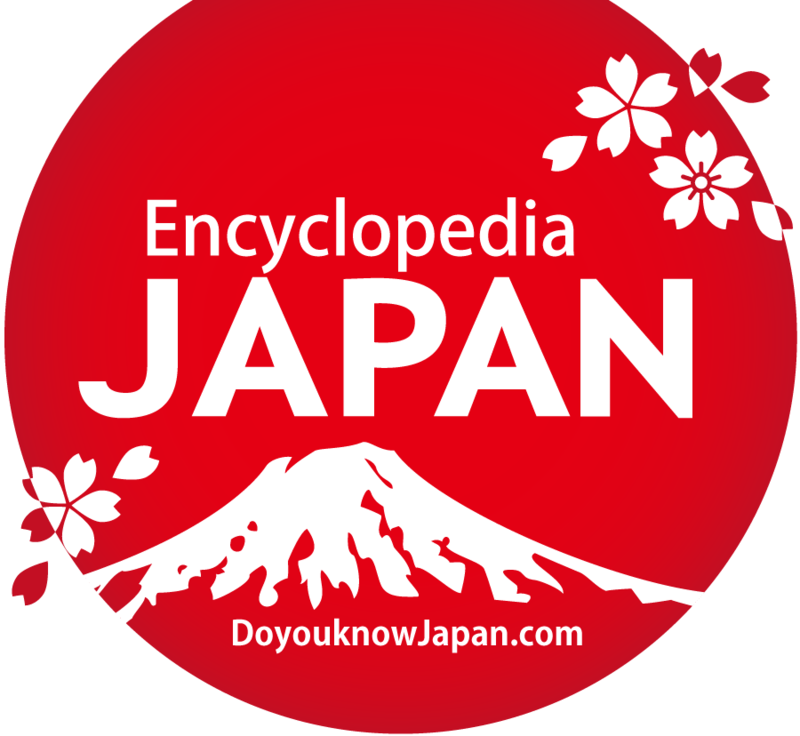 Most of these disputes were settled before the middle of Edo period, and the borders determined at that time are used to this day. Due to the agricultural fundamentalism of this period, places other than towns around castles (castle town), the base of the shogunate government or each daimyo, were basically considered to be agricultural communities. Therefore, profits from transactions in ports and extraction of minerals were also converted into rice. Feudal lords (daimyo) took a protective policy, considering the more the castle town developed, the more money were paied to them, which meant their own prosperity. 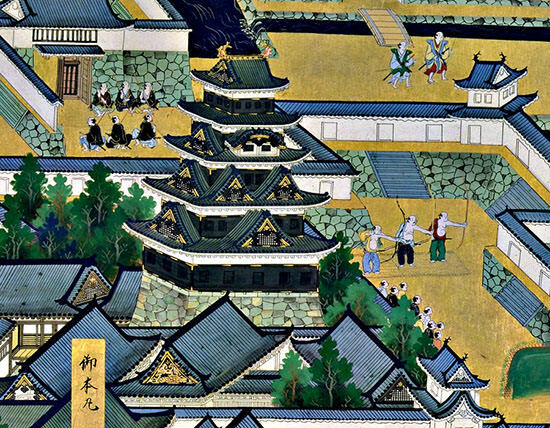 Since the middle of the Edo period, however, the decline of castle towns had been given stark expression in the development of port towns and post towns, the influx of capitalism into agricultural communities, such as the cultivation of cotton, one of readily redeemable goods, and bankruptcies of the merchants due to the excessive financial contribution to feudal lords (daimyo), (which might be the biggest cause of the decline). The shogunate government intended to dampen peasants&apos; enthusiasm for business by promulgation of the ban against buying and selling of fields and the back-to-the-land order, but neither was effective. A headman of a village called nanushi or shoya served as a bridge between the shogunate or domain government and the agricultural community, where no samurai was considered to live in principle, (with the exception of the Sendai Domain in which the Jikatachigyo system [the direct administration of the assigned fief by a shogunate retainer who transferred there] was preserved). The above-mentioned headmen (nanushi or shoya) were often rich farmers who had owned their own land for a long time, or descendants of samurai who had settled there, and many of them were privileged to adopt a surname and wear a sword and excused from various levies and taxes as well as titled as country samurai (goshi). In a large community, several headmen (nanushi or shoya) held a meeting, and governed the community. They not only played a role in collecting land taxes from peasants without delay, but also acted to passing on order of the government. Although the situation differed according to the domain, when peasants had difficulties, the headmen (nanushi or shoya) reported it to the government on behalf of them. Some headmen (nanushi or shoya) had a strong sense of being a representative of the peasants, who led riots on farmers&apos; side, while others became a target in uprisings because of their being the rank and file of the government in direct contact with the public. In a second half of the early-modern times, as headmen (naushi or shoya) accumulated lands of impoverished petty peasants, their landowner-like character grew, and those with the latter aspcet increased. The literacy rate among the Japanese was high, because private elementary schools (terakoya) and village schools, where reading and writing was mainly taught, were established not only in castle towns but also in agricultural communities. Starting with the Shizutani-gakko school of Okayama Domain, the government of the domain and direct retainers of the shogun (hatamoto) established schools which admitted even village folk all around Japan. These contributed to the achievements of Tokunai MOGAMI and Rinzo MAMIYA, who were from rural communities. 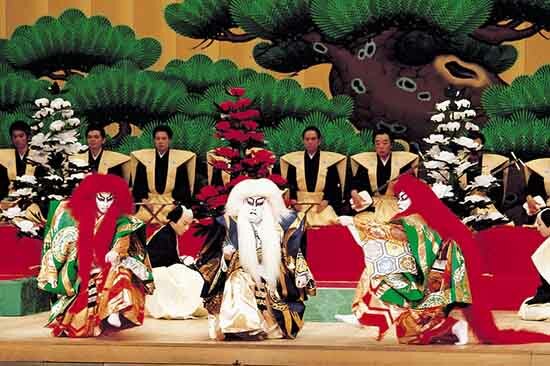 The Edo period when the shogunate government implemented a drastic relocation of feudal lords (daimyo) was also an era of active cultural exchange throughout Japan. For example, the Mikawa dialect had been imported into the Bingo area since the Mizuno clan in Mikawa founded a domain in Bingo-fukuyama, while the Fukuyama dialect was mixed with the Mikawa dialect. When the Sengoku clan, the former ruler of Shinano area, was transferred to Izushi of Tajima Province, bringing Shinano soba with them, Izushi Soba (buckwheat noodles) was born. Exchange of products of this kind occurred all around the country, and in many regions these transferred products became present-day local speciality. Ieyasu TOKUGAWA implemented the physiocratic policy on which the ruling structure of samurai was establised, so the samurai class, namely the ruling class, depended upon rice for their income. Therefore, the economic policy of the shogunate government focused on the stabilization of rice price. However, the policy did not work well as the increase of rice production for the purpose of the revenue increase resulted in the decrease of rice price, and merchants came to take control of the economy. The economic development of the merchant class resulted in the impoverishment of the samurai, and laws regulating expenditures and debt cancellation orders were promulgated many times. In the 18th century, famines were frequent in Japan, and after the Tenpo Famine, some domains were unable to yield any crops at all (Tsugaru Domain and so on). Seeing this, Okitsugu TANUMA intended to implement a Mercantilism policy, which ended in failure due to his opponents. Since the Genroku era at the end of the 17th century the shogunate government had tried to restore their finances by the issue of coins with low content of gold and silver and the further issue of currency so as to get profits from the issue of coinage, but every case caused hyper-inflation and resulted in failure (the issue of the genroku gold coin [genroku koban] by Tsunayoshi TOKUGAWA, Genbun gold coin [genbun koban] by Yoshimune TOKUGAWA, Nanryo silver coin (nanryo nishu gin) around the era of Ienari TOKUGAWA, and so on). 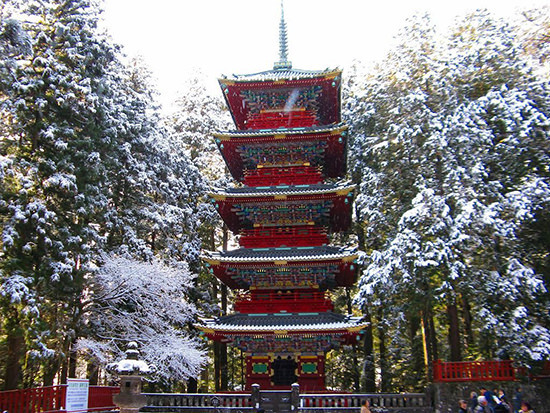 In the Edo period, people actively made pilgrimages to distant temples and shrines. It is said that such pilgrimages were highly entertaining in a sense, and led to the popularity of travelling among common people. Travel agencies and guides appeared, as well as pleasure quarters, which appeared near temples and shrines in some areas. Guidebooks similar to present-day traveler&apos;s guidebooks were also issued. 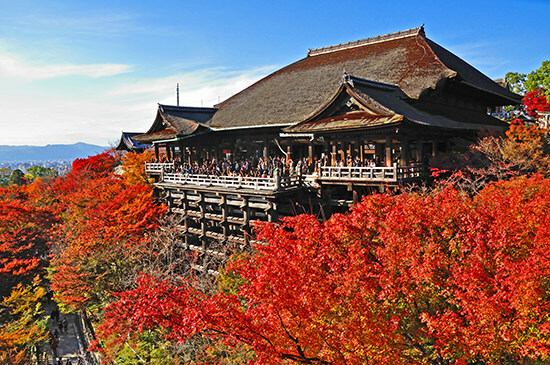 Improved infrastructures, such as the development of the five main highways (gokaido) and post towns, public safety, made pilgrimages to distant temples and shrines possible. Typical examples of this period were the pilgrimage to the 33 Kannon temples in Kansai (Saigoku Sanjusansho) and the pilgrimage to the 88 temples in Shikoku (Shikoku Hachijuhakkasho). At the end of the Edo period, new Shinto religions such as the Tenri sect, the Kinko sect and so on emerged. Under the hierarchy of samurai, farmers, artisans, and merchants (shinokosho), there were discriminated classes called eta and hinin for a long time, and they were given duties which other people were unwilling to do (such as executioners, cleaning), and moreover, they became victims of discrimination policies enacted by feudal lords in order to maintain the shogunate system. While they lost the privilege to receive dead horses and cattle and so on after the Meiji Restoration, the discrimination still continued, which led to the Buraku (discriminated communities) Liberation Movement. 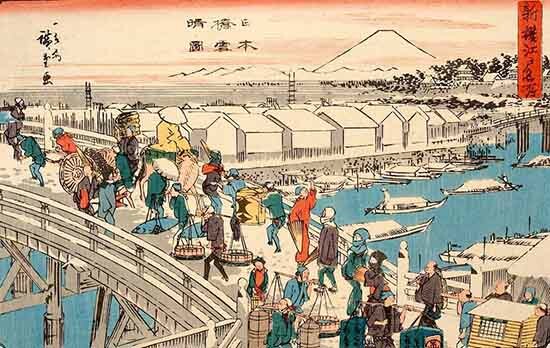 During the Edo period, the economy grew rapidly, and the accumulated capital contributed to the economic development following the Meiji Restoration. In order to make money for maintenance of the domain residence in Edo and the cost of the alternate-year residence in Edo, feudal lords all over Japan sold their domestic products, such as rice, farm and aquatic products, in Osaka, where feudal lords built their warehouses and sales offices (kurayashiki), so local specialities were line up prosperously. In addition, as many feudal lords stayed at inns and taverns along main roads on the way to Edo for the alternate-year residence obligation or the site of construction work under the shogunate order, the economic circulation was activated. The Edo government intended to control commerce by forcing the formation of merchant guilds (kabunakama) and admitting monopolies by them. 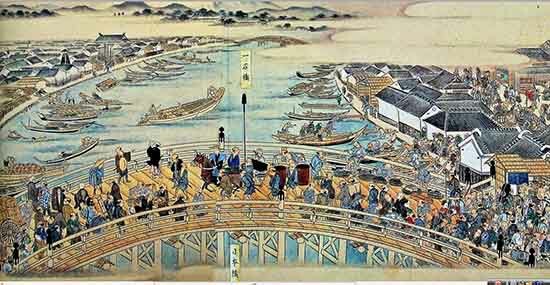 However, the fact was that, during the late Edo period, up and coming merchants started to actively spread throughout cities and provinces. The shogunate government could neither take enough measures to respond to the economic development nor quell social disorders caused by price fluctuations, which led to the turbulence of the shogunate government. The shogunate government took up the seclusion policy as a foreign policy. However, it is said that the shogunate government roughly kept up with foreign affairs through the Korean Emissary that were dispatched in every shogunate succession, and the curator of Dutch trading house. For example, Tadakuni MIZUNO who performed the Tenpo Reforms immediately ordered the withdrawal of the edict to repel foreign vessels when the Opium War occurred in China. Additionally, Japanese and Western people made exchanges with each other, such as the many Japanese who received an education from Siebold who opened a school of Western medicine at Narutaki, Nagasaki. The shogunate government in Edo reformed the currency system using a large amount of accumulated gold and silver. In 1601 before the foundation of the government, the gold guild (kin-za) (the coinage guild) and the silver guild (gin-za) (history) were established, and the mintage of Keicho Koban (gold oval coin) and Keicho Chogin (silver oval coin) was ordered. 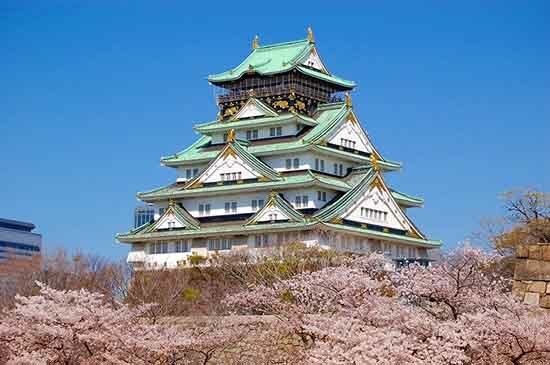 From the Keicho to the Kanei era, the gold and silver mines in Japan boasts the highest outputs in the world, and until the era of Tsunayoshi TOKUGAWA, the 5th shogun, ample fund of gold and silver were stored in the gold storehouse in Edo-jo Castle. In stead of imported bronze coins, Eirakusen, from the Ming Dynasty, the shogunate government established the coinage guild to mint domestic coins such as Kanei Tsuho coin for the circulating money in the country. However, in the eastern Japan gold coins (koban) were circulated as large denomination coins, while in the western Japan, silver coins (chogin), and the exchange rate fluctuated on a daily basis, the financial industry including money brokers developed. Bill account also spread with convenience to avoid carrying a large amount of coins. From around 1620, futures transactions were conducted at Dojima, Osaka ahead of other countries. Along with the economic development, it became necessary to transport large quantities of goods. However, since the national defense policy of the shogunate government prohibited the shipbuilding of large vessels, the distribution of goods by taru-kaisen (cargo ships) circulating along the coast of Japan developed significantly. As the outputs of gold and silver began to decline after the Kanei era, in spite of the increase of expenditure due to the economic development and the population growth, the shogunate government got into financial trouble. Since stockpiled gold and silver also began to dry up, coins with low content of gold and silver were reminted in order to gain a profit margin and expand currency in circulation, beginning with the issue of Genroku Koban (gold coin) and Genroku Chogin (silver coin) in 1695. After the issue of Nanryo Nishu silver coins in 1772, the amount of circulation of denomination silver coins with the unit of ryo (a base unit), bu and shu, began to increase, and in 1837, when Ichibu gin silver coins were issued, these coins came to surpass that of the currencies by weight, such as chogin, so silver coins were incorporated in the currency system of gold coin (koban). Under the seclusion policy, foreign trades were mainly limited to those with China at the Chinese residential area in Nagasaki, and with the Netherlands at Dejima island, but also through Tsushima Domain, trade with Yi Dynasty of Korea was authorized by the shogunate government at the consular office (wakan). There were several loopholes, for example, intermediary trade with China and Southeast Asia through Ryukyu under the control of Satsuma Domain and trade with Ainu and Russia through the Matsumae Domain. Although not associated with the trade issue mentioned above, there were some people who ended up staying overseas after being shipwrecked due to bad weather. While there might be some exceptions, they were all protected carefully in foreign countries, and then returned to Japan after learning foreign knowledge. Kodayu DAIKOKUYA, who drifted to Russia and presented to Catherine II of Russia at the end of the 18th century, and Manjiro NAKAHAMA (John Manjiro), who would play an active role at the end of Edo period, were one of them. The shogunate government had official diplomatic relations only with Yi Dynasty Korea. After the settling of the warring period, the Edo period saw the social stability and peace and the revitalization of economy, and people began to speack freely to lead flourishing various studies. The rise of common people due to economic development produced the supporters of academic studies. 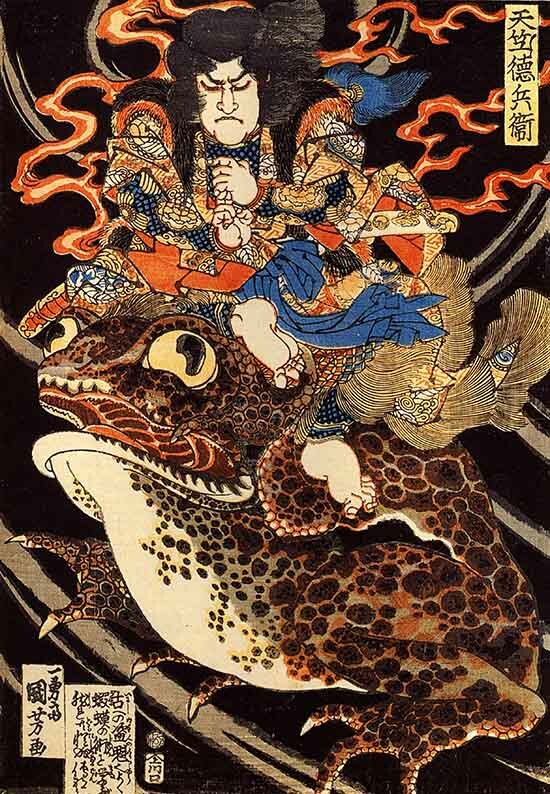 One of characteristics of studies in the Edo period was the appearance of the positivistic approachs based on written materials, which was different from those in the medieval times laying stress on the intuitional and associational thoughts of the researcher. There were also a few thoughts which opposed the class system. Thus, the Edo period is historically defined as the early-modern times, which is no longer the medieval but not yet the modern times. 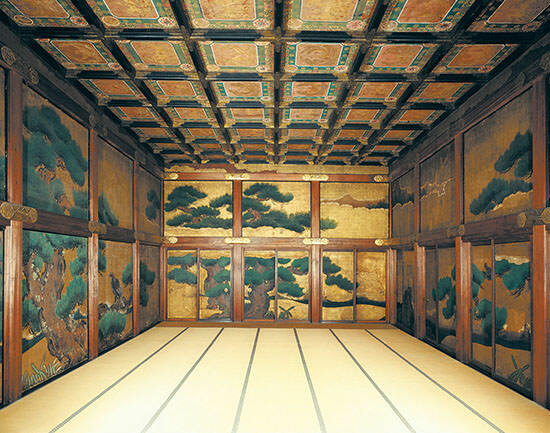 In the middle of Edo period, many domain schools were established in various places as one part of domain reform. Basically, it aimed to encourage the children of retainers of the domain to study the doctrines of Zhu Xi and swordplay thoroughly. However, some of these schools taught medicine and western technologies, and further, even accepted common people. For common people, the intellectual class such as Buddhist monks gathered children of common people together, and taught them basic reading and writing. The increase of such private elementary schools (terakoya) contributed to raise the literacy rate of Japan, which became a driving force to support modernization from the end of the Edo to the Meiji period. In big cities such as Kyoto and Osaka, private schools, such as Kogido school opened by Jinsai ITO, had existed since early in the Edo period, but after around the middle of the Edo period, private schools called village schools appeared in rural areas. Confucianism developed not as a religion but rather as a study, and from the beginning to the middle of Edo period, the doctrines of Zhu Xi (the shushigaku school) and the teaching of Wan Yangming (the yomeigaku school) became popular. Buddhism was not so popular in general because it was used by the shogunate government as a ruling measure of people (the parishioner system) as a part of religious policies. Buddhism community became corrupt, and so-called &apos;funeral Buddhism&apos; was established around this time. Emasculated Buddhism was criticized by both religions of Shinto and Confucianism. 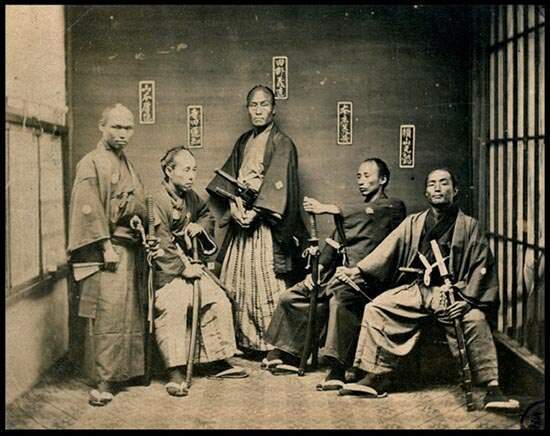 The fuju-fuse (no receiving and no giving) group of the Nichiren sect, which was determined to be a heresy by the Oda government and Tokugawa shogunate, was cracked down on completely. With respect to Shinto, reactionary Shintoism excluding Confucianism and Buddhism was advocated along with the development of the study of Japanese classics, and the separation of Buddhism and Shintoism started in some part. Reactionary Shintoism excluded teachings of Confucianism and Buddhism, while there appeared Confucian Shintoism, or the syncretic fusion of Shintoism and Confucianism, such as Suika Shintoism. 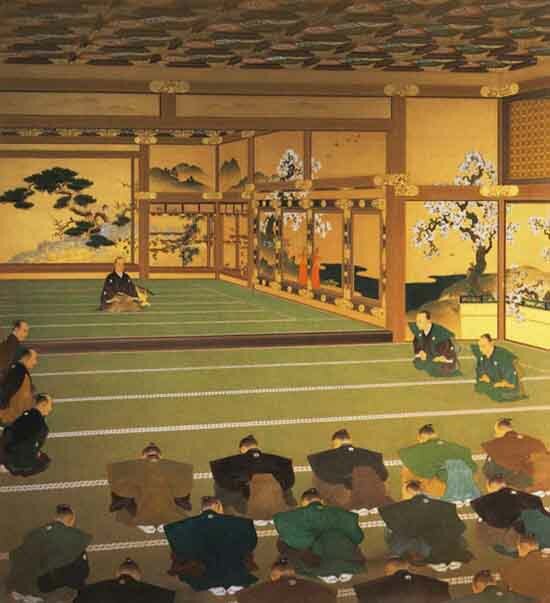 At the end of Edo period, reactionary Shintoism and Suika Shintoism also had an influence on the thought of reverence for the emperor as well as on policies in the Meiji period. Since the power of the imperial court was restored by the Meiji Restoration, pro-Imperial shrines were built in various places (for example, Minatogawa-jinja Shrine was also built at around this time), and Imperial mausoleums were authorized in various places. Since the edict expelling the European missionaries (bateren) by Hideyoshi TOYOTOMI, Christianity called Yasokyo had been regulated severely all through the Edo period. Since Christianity was also brought from England and Portugal which were trading countries in the early Edo period, the ban was never completed. However, along with the reinforcement of the seclusion policy, the crackdown on Christianity was strengthened, and a mass execution known as &apos;mass martyrdom in Genna era&apos; was executed in Nishizaka of Nagasaki City in 1622. In the period of Iemitsu TOKUGAWA, the third Shogun, three major policies were established: the establishment of a feudal system, thoroughness of national isolation, and a ban against Christianity, which forced Christians to choose either martyrdom or renunciation. After the Shimabara War that occured in 1637, surveillance over Christians was set up across the country, and through the temple-parishioner system they were prosecuted. A miniscule number of surviving Christians retained their faith until the end of Edo period as crypto-Christian.